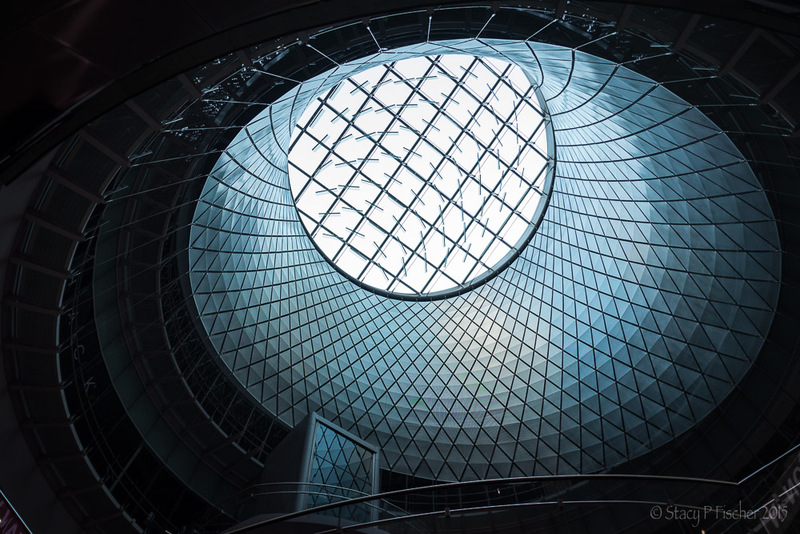 (Scheduled post) The space and light of this building never cease to take my breath away. Architect Moshe Safdie designed the building as a serene space to symbolize peace. The glass wall, which faces the Lincoln Memorial, fills the interior with light. The billowing glass ceiling is opaque and white during the day; at night, it glows. It has always reminded me of the wings of a dove, fitting for the purpose of the Institute: to promote international peace through conflict management, conflict analysis, teaching, and training. This entry was posted in Architecture, Places, Washington, D.C. and tagged architecture, blue hour, Fuji X100T, photography, postaday. Bookmark the permalink. I’ve not seen this building! Thanks for the information along with the gorgeous image! Thanks, Max. I’ve been wanting to photograph this building for such a long time! I can’t imagine that either, Lisa. I am in awe of its design. 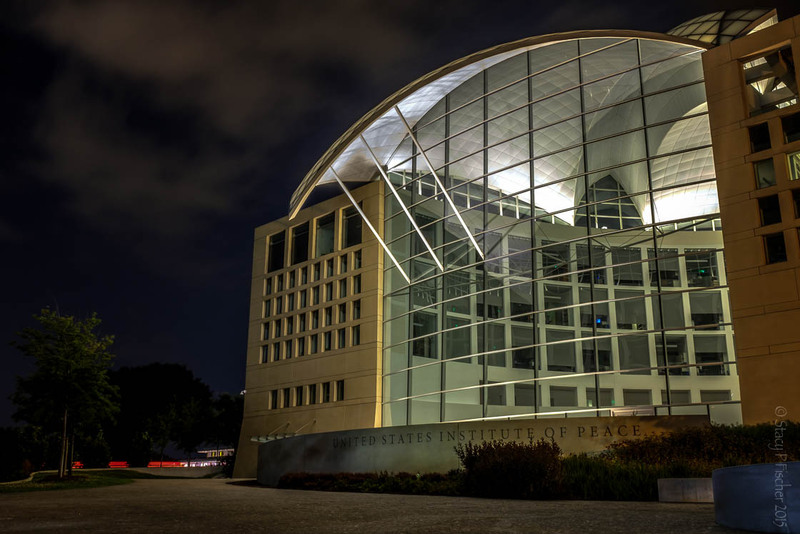 It complements the purpose of USIP beautifully. Never knew this building existed! I learn something from every one of your posts, Sis. Love your vision of the dove wings – I totally see it! I think the UN should sign up for some classes since they can’t seem to accomplish squat! Point taken, Debby 🙂 As for the building, it’s one that I see every time I come across the bridge into DC. It has always captured my fancy, but I didn’t really know anything but it’s name until I actually wrote the post. So, you see, I learn something new too! A beautiful powerful shot Stacy, love the faint cloud framing and night glow surrounding this amazing building! The interior is massive … and just gorgeous. Thanks, Dio!